We are delighted to announce our Sponsorship of the China Offshore Summit that will take place in Shanghai, China from the 13th - 15th November 2018. We are proud of being a Trust and Company Service Provider in worldwide. 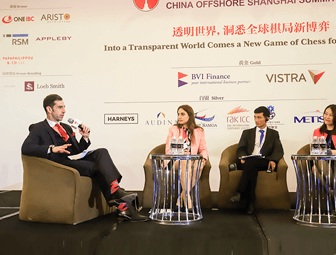 In this event, we would be connected with government, our partner and clients from China and all around the world join special event China Offshore Summit on this year. This conference is a premium platform for information exchange, business development and an excellent opportunity for networking and meeting people. We will attend all of three days with focusing on immigration by investment on day 1, private wealth management on day 2 and corporate structuring on day 3 in different offshore jurisdictions. Effective from now on and to every order made until the end of December 31st, 2018. This promotion only used for one time order (discounts on total bill of service fees). The fee of promotion is only the services fee. Cannot be combined with other special offer, promotion or discounts. Note your calendar to arrange meeting with us and welcome to our booth (B1) in Grand Kempinski Hotel Shanghai. Thus you don’t miss opportunity to explore the knowledge of the industry and get directly consultant from our expert. As a ONE IBC’s client, you can get the delegate pass at 30% discounted. We are always happy to answer and serve your requirement.